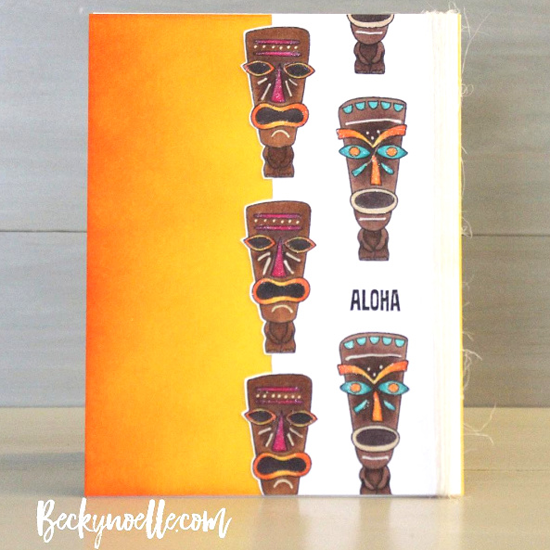 A tropical hello featuring our Tiki Party stamp set is the perfect summertime greeting from Becky. LOVE the warm orange on the left of her design. I was struck by the perfect simplicity of Lisa's card. 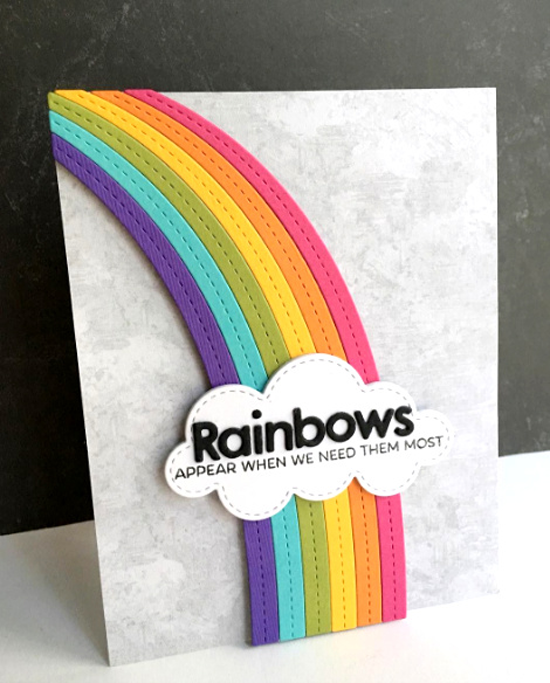 Such an encouraging card for someone who might be going through a rough patch in life! Rowena's fantastic design was the result of watching a YouTube video from Sandy Allnock about watercoloring rocks. 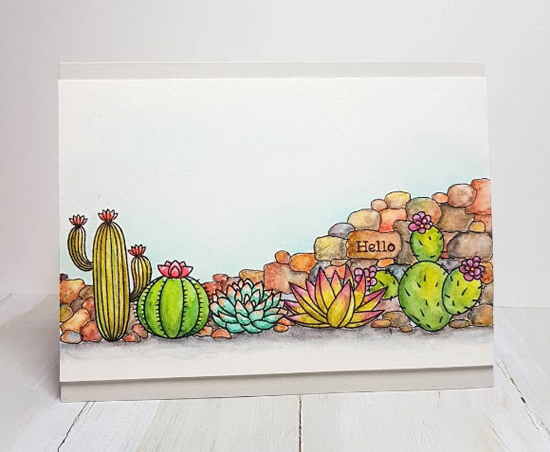 What a SUPERB use for our Sweet Succulents stamp set. 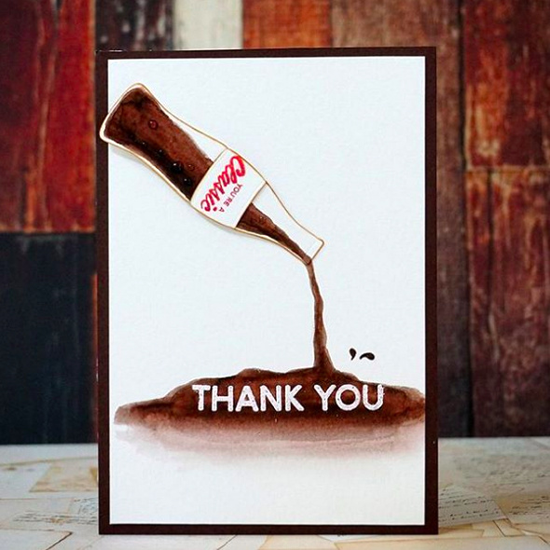 Soonju dreamt up this refreshing card to say thank you using several products from our Soda Pop line. The little splashes of cola add much to the movement of her design. I love the playful combination of stamps that Yulianna chose for her card! 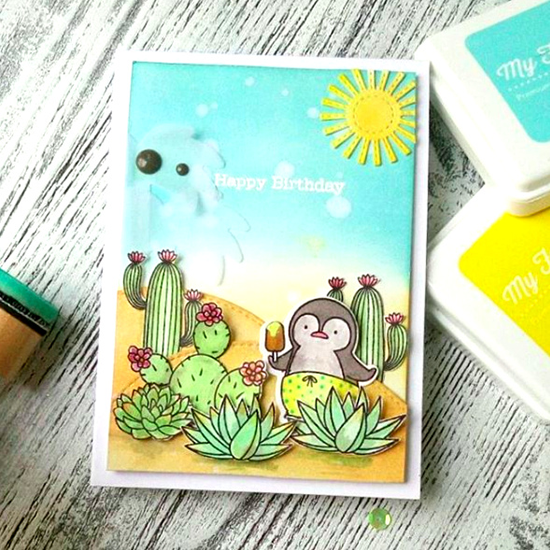 Mr. Penguin definitely looks like he needs to cool down amidst the desert she created with the Sweet Succulents stamp set! Thanks for using MFT, ladies! You've left us inspired, and that's what it's all about! See you tomorrow for another great Sketch Challenge, and look for the next MFT Color Challenge on Thursday, August 11th. That's a great collection of cards and a lot of inspiration!